Welcome to another SURVEY SATURDAY. Thank you so very much to those of you who have taken the time to participate in some of my previous surveys! However, even though I now know that some of you are interested in seeing me write posts ‘exposing false teachers,’ and that some of you also desire to see ‘book reviews‘ here (Lord willing, one False Teacher Friday and one Book Review coming next month), I would truly appreciate it if you could please let me know who it is that you would like me to write about, and what books you would like me to review for you. I still have not received any helpful suggestions from any of you, so I will just continue to pray and share with those of you who read this blog, whatever is of utmost importance so that you will not only become aware of these wolves in sheep’s clothing, but also so that you will become aware of the numerous Christian books that are appealing to many Christians and sadly leading many of them astray. I am here not only to honor God and to share Biblical truth and to expose false teachings and spiritual deception through what I write, but also I am here with the desire to encourage and to help those of you who are searching for answers. With that being said, I would truly appreciate it if those of you who read this blog from time to time would please provide me with a little more information so that I can serve you better through what I write. It can be quite frustrating to me at times knowing what some of you are looking for, yet not knowing the false teachers that you would like me to write about, or the books that you would like to see me do reviews on. So please consider sending me a message with your concerns and suggestions using the Contact Form below. You can even send me a message without using your name, if that would encourage some of you to contact me in order to help you. I will be presenting some type of survey to you usually once a month, (Lord willing) on the last Saturday of each month, to give those of you who read this blog from time to time, an opportunity to submit your requests to me as to what you would like to see me write about here on this blog in the future. Would you like me to write more poems? Then please vote accordingly, and I would truly appreciate it if you would leave me a short comment as to what topic you’d like me to write one about, and I will consider writing on that topic which I will always write from a Christian perspective. Do you have some concerns about your pastor or a certain pastor or teacher that you have been listening to, or something that they are teaching or something that they have taught in the past that has been troubling you, and you’re searching for some information and answers? Then please vote for the Category False Teacher Friday and send me a personal message using the ‘Contact Form‘ below –or you can leave a comment below. You can choose to remain anonymous, if you’d like, but please let me know who it is that you have concerns about, and why, and I will be happy to do some research on that pastor, teacher, or topic, and focus on that particular person or teaching in a main post, or if he clearly qualifies as a false teacher in some way, I will address his false teachings in the series of posts that, Lord willing, I will be continuing to write in 2016, under the Category entitled, ‘FALSE TEACHER FRIDAY- LEARN TO DISCERN – LEARNING THE IMPORTANCE OF BEING A BEREAN.’ I may share an in depth report on that certain pastor or teacher, or I may simply write briefly about the person or teaching and then include links to some good posts addressing that person or teaching that have been written by other Christians who are well respected and trusted. However, I continue to urge you to always test everything you read and listen to against God’s Word to see if it is true or not (Acts 17:11) –including everything that I write. Maybe you have some concerns after reading a certain book that left you feeling very troubled, and you’re searching for some information on the author to see if what they are teaching is Biblical or not. If that’s you, then please feel free to add Book Reviews where it says Other, and place your vote for Book Reviews. Also, please consider sharing your concerns and the name of the author and book with me by using the Contact Form below, and I will do some research and write a post addressing the author and book in question. I am considering the possibility of reading some books later on this year — if time allows — and writing some book reviews, as well. I am not an expert on any certain topic, by any means, but I am definitely a Berean and a detective-at-heart and will gladly do all that I can — with God’s help — to give you some helpful Biblical information to put those troublesome thoughts to rest, and especially to encourage you through God’s Word in the process. In order to serve you better, this month’s survey will determine what Category of posts I should focus my time writing on. So all you have to do is vote for your favorite Category of posts, and I will write more of those, and less of other ones. Unless, of course, I see a serious need to write something in order to warn you. 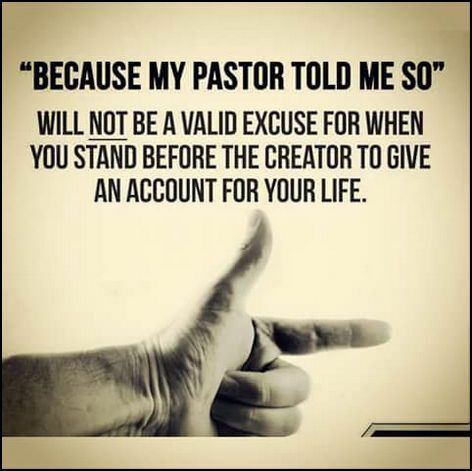 Because when it’s all said and done, I write to earnestly contend for the faith (Jude 3) and to please God alone (Galatians 1:10); I do not write certain things in order to gain followers. Some of the posts that I will be writing later this year will prove that, because I am almost certain that I will sadly lose some of you who read this blog. If it turns out to be you, all I ask is that you would first please pray for discernment, and at least read my posts and test everything in light of Scripture regardless of what you presently believe, and please listen to the videos that I will be posting, as well, if you happen to find yourself thinking that you no longer want to continue reading this blog. Thank you very much for stopping by and taking time out of your relaxing weekend (at least I hope it has been so far) to read some of my posts and poems –and for voting! In the video below, Pastor Randy White gives a teaching on The Doctrine of Separation. This is a very important teaching in light of the many in Christianity — as well as in the world — who are promoting oneness and unity. 15 “Study to shew thyself approved unto God, a workman that needeth not to be ashamed, rightly dividing the word of truth.